Well we are almost a month in and fantastic progress is being made. Josh & Garry have been hard at work coming up with the concept & design for the new game. Lots of coffee and many hours work and the framework is now complete, interior drafted and the basic game-play created. Here’s a sneak-peak of what we are up-to. 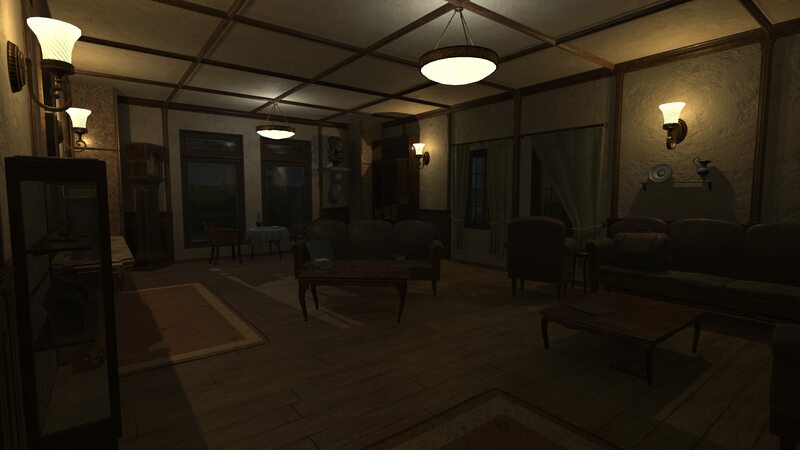 Its a VR horror themed game, hence the subdued lighting and moody atmosphere. Lighting and effects in these sorts of things is what is going to make or break it. A lot of hours have gone into making sure that everything it right in scale, feel and look. Movement works well and (without giving anything away) a lot of the special items in the game have been created, tested and are awaiting the correct graphics and sounds. We haven’t set a release date yet, but it is it will be available on Steam. We are focusing on making this a good show-case for our skills and we hope that the public are going to enjoy it. It is also the first in a set of horror games that we are planning on making. Over the next week or so we are going to be starting to work through the voice acting requirements and getting things set up ready to do some voice recording. ← Progress is being made…..